KAWANA product and Parramatta Eels utility Casey McGuire does not like to make a fuss about himself, but it is hard not to view his 150th NRL game this weekend as one of the better stories of the year. 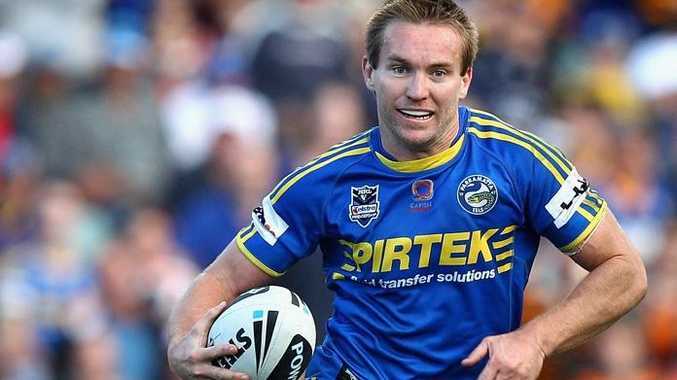 When the 32-year-old takes the field for the Eels' final-round showdown with the Dragons at ANZ Stadium on Sunday, it will most likely be for the last time. He has not been offered a contract for next season and says he does not know what the future holds. He is reluctant to talk about retirement or playing on in 2013, partly because he is keeping his options open, but also because McGuire is just that sort of bloke. He is friendly, yet sparing with his words. He prefers to go about his business quietly, to the point that he describes himself as "boring". His milestone, however, deserves to be marked. McGuire will be remembered as a "journeyman", but he has achieved much in the game. He played in the Broncos' 2006 grand final-winning side, took the field for Queensland in two State of Origin matches and enjoyed a four-year stint in France with Super League team the Catalans Dragons. He deserves the chance to go out on his own terms. He was almost robbed of the opportunity in May when he tore the pectoral tendon from the bone. That is usually a season-ending injury, but he has worked his way back into playing condition and will come off the bench on Sunday night. "It was just lucky it turned out the way it did," he told the Daily from Sydney yesterday. "I was out injured and training hard in case I got the chance to come back. "It just so happens I did and I'm lucky to get that chance." McGuire, who ended his Super League stint on 99 games, said he was not one for milestones and would not have been fazed if he had bowed out on 149 games. He was, however, grateful for the opportunity to play in Nathan Hindmarsh and Luke Burt's farewell game. "I think they're legends of the club," he said of Hindmarsh and Burt. "They've stuck with the club their whole career. "They've given it great service and they're popular with everyone. "It's going to be a big occasion and I just hope we can send them out winners."